The snow-covered expanses of the Alpe di Siusi provide the perfect setting for unique winter hikes. Numerous groomed paths and marked snowshoe trails lead below the Dolomites to breathtaking and often hidden places. Depending on the weather conditions, guided winter hikes with Gottfried Schgaguler are organized several times a week. Here, our guests are led over unique trails on the Alpe di Siusi to the most beautiful places. All the hikes begin directly at the mountain station in Compatsch. There are various walks for all levels of difficulty and lengths, many of which are suitable for families with children. At the weekly presentation of the program, we are happy to accommodate the wishes of our guests and adapt our hikes to these. The snowshoes are available to our guests free of charge. Discover the unique winter landscape of the Alpe di Siusi and receive valuable insider tips from Gottfried. Our team at the reception will gladly recommend the right hike for you. You will also receive the necessary maps and information for your hike. During the stay we provide our snowshoes for free to our guests. The ski bus stops in the immediate vicinity of the hotel and brings you in 5 minutes to the cable car. The excellent marking of the trails on the Alpe di Siusi also makes it possible to set off on individual hikes without accompaniment. In our immediate vicinity are winter hiking trails for all levels of difficulty, including some family-friendly. 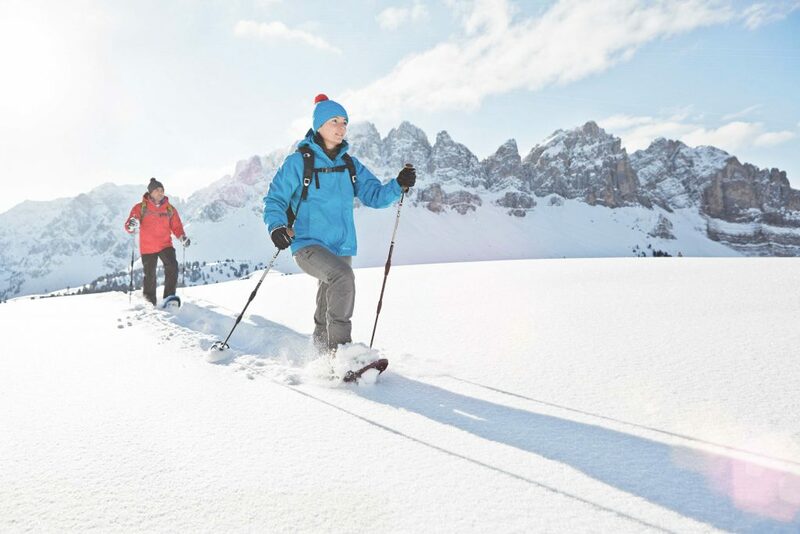 On the Alpe di Siusi there are a total of 60 km of groomed winter hiking trails for which no snowshoes are required and 50 km of marked snowshoe trails. We are happy to advise you in choosing the right route for you. 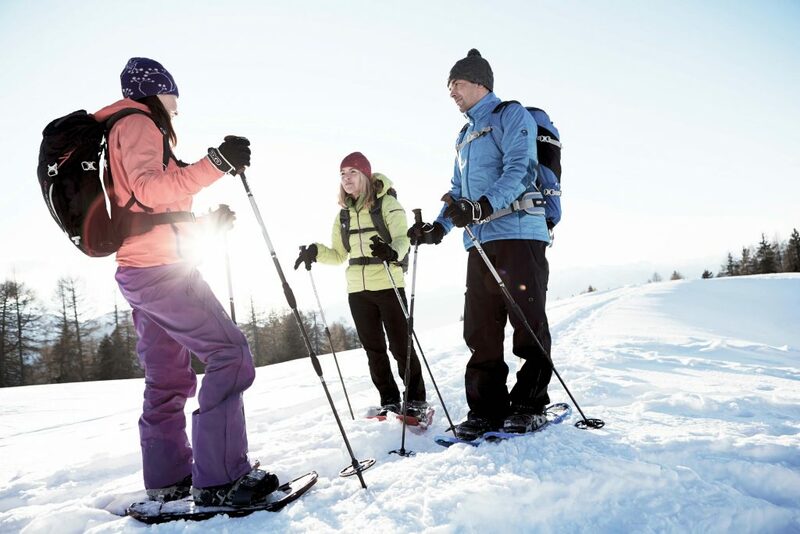 Snowshoes are provided free of charge to our guests during their stay. Families with children of adolescent age can easily walk most of the marked snowshoe hikes. For families with small children there are 80km groomed winter hiking trails which can be committed with the stroller. 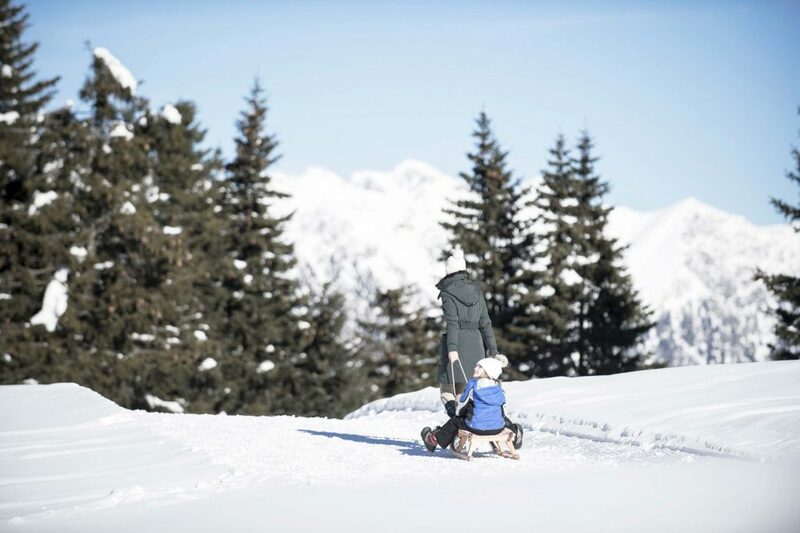 Special experiences for families are those hiking trails, which end after stopping in a mountain hut with the sled run on groomed sled slopes into the valley.